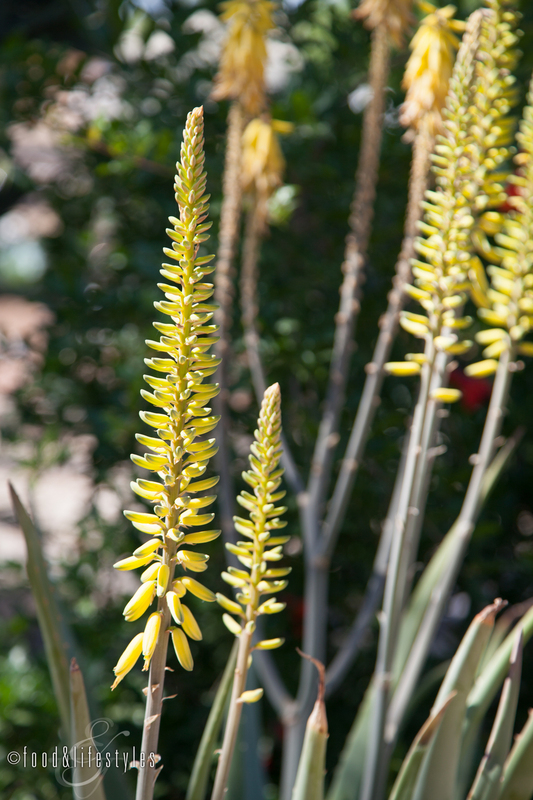 Visit Mesa has compiled a can't-miss experience and it's called the Fresh Foodie Trail. 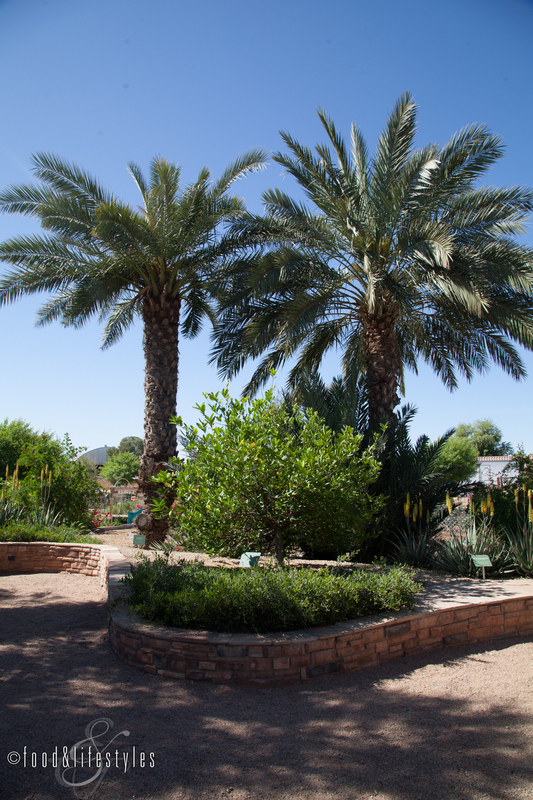 Designed to introduce locals and tourists alike to the agricultural riches in Mesa, Arizona and nearby areas of Gilbert and Queen Creek, the Trail spotlights ten fascinating farms, dairies, and other agritourism attractions. I was recently invited to join some fellow writers on a day trip of culinary exploration and I didn't hesitate to say yes. Our agenda would include six stops, starting with breakfast and concluding with sunset cocktails. 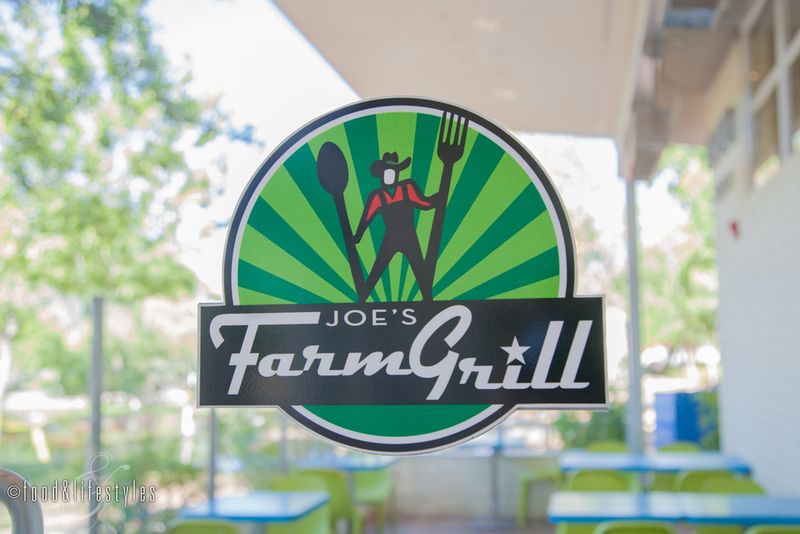 On a beautiful spring morning we met at Joe's Farm Grill in Agritopia, a 160-acre urban farm community founded by visionary Joe Johnston. Joe (who also owns Joe's Real BBQ and Liberty Market) tells us about the property, including the fact that the building housing the restaurant was originally the Johnston family home built in 1967. The lower part is the original slump block, with the addition of a mid-century modern butterfly roof. Photographer Jenelle Bonifield and I started our day with a caramelized banana milkshake, freshly-squeezed orange juice, breakfast scramble, mini cinnamon-sugar apple fritters, and the best pancakes I've ever had (with white chocolate, coconut, and macadamia nuts). Everything served here is made from scratch using Agritopia farm-fresh fruits and vegetables as much as possible. As we take a tour of the property, we learn that a Beer Garden is also in the works and will open late next year. "It'll be an analog to the Farm Grill and beer-focused, but a very family-friendly place where you can bring multiple generations," says Joe. "We're working with a well-known local brewery in the style of a biergarten with picnic tables, something for all seasons." As we pass under grape arbors, Joe tells us, "the pathways are designed to lead people through the farming and gardening areas to enjoy everything up close and personal." We view rows of crops in different stages of rotation as we are told that the commercial farming operation is leased out to farmer Erich Schultz and is certified organic. 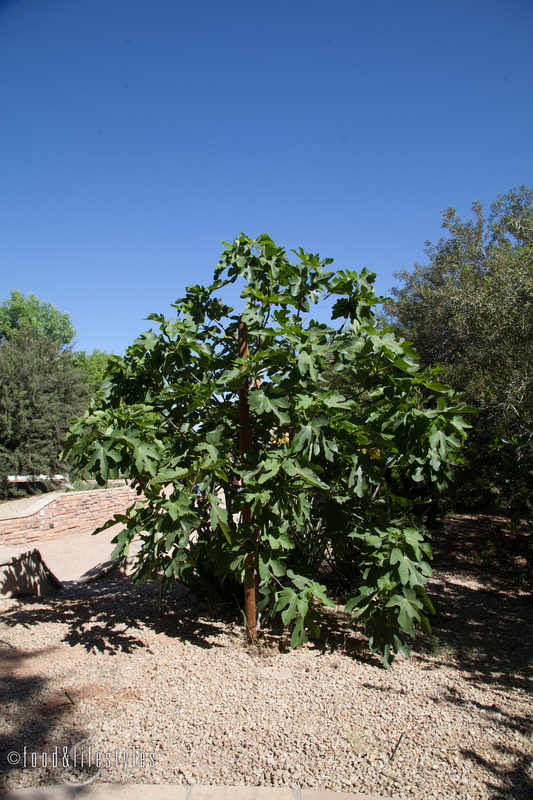 There is also the Agritopia Community Garden for individuals to grow their own produce. It's so popular that although there are more than 40 plots, there is a waiting list. Each one measures 400 square feet with its own watering system. "Each person grows organically, and there is a central tool chest so they don’t even have to have their own tools," Joe says. We are next shown one of my favorite parts of Agritopia - the Biblical Garden. It's designed with seating areas, and one can see plants referenced in the Bible such as Medjool date, olive, and mastic trees, pomegranate, flax, Aleppo pine, aloe, fig, and bay laurel. Our next stop is the site of Barnone. Joe tells us the quonset hut is fabricated with aluminum from melted-down World War II airplanes. It will be divided into 12 "maker spaces" as a craftsmen community. The artisans slated to fill the structure include two micro-restaurants (Uprooted Kitchen serving vegan and vegetarian food, and Joe's son James' Fire and Brimstone with a wood-fired oven and hearth-based menu), two machine shops (Joe will have a culinary shop and his brother Steve will construct high-end hunting rifles), Everybody Loves Flowers florist, Prickly Pear Paper graphic design and letter press, a salon, 12West Brewing, leathercraft and woodworking. Also being constructed is a new barn, retail store, and a winery next door which will be called Garage-East. "This will be a partnership between a local family that lives in Agritopia and Todd Bostock from Dos Cabezas to push the limits in the pioneering spirit of what is wine," Joe describes. "For the groundbreaking, they made a wine using Roussanne grapes from Sonoita, apples, and mesquite honey and it was delicious!" Look for this to open in November of 2016. We also see the Coffee Shop, which started out as the Johnstons' tractor shed. This charming gathering spot boasts a shady patio surrounded by rosebushes to enjoy breakfast, lunch, coffee, and prize-winning baked goods. In fact, owners and sisters Jessica Cuff and Jenna Flowers were Cupcake War winners on the Food Network. At Agritopia Farm Stand, customers are able to shop 24/7 on an honor system. 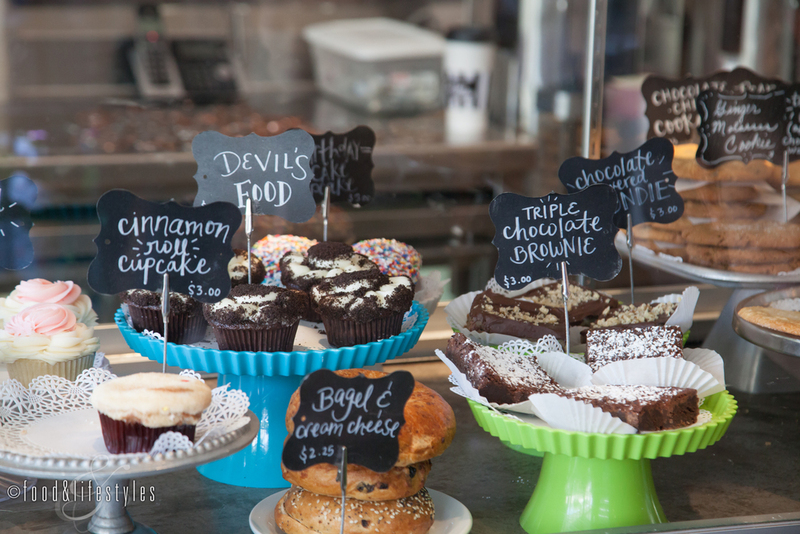 Click here for another next Fresh Foodie Trail installment as we visit Hayden Flour Mills. To plan your own trail, you can download the Fresh Foodie Trail brochure here.